Facing a liver transplant and feeling suicidal, 28-year-old former alcoholic Zach Skow credits his dogs with helping him find sobriety and turn his life around. 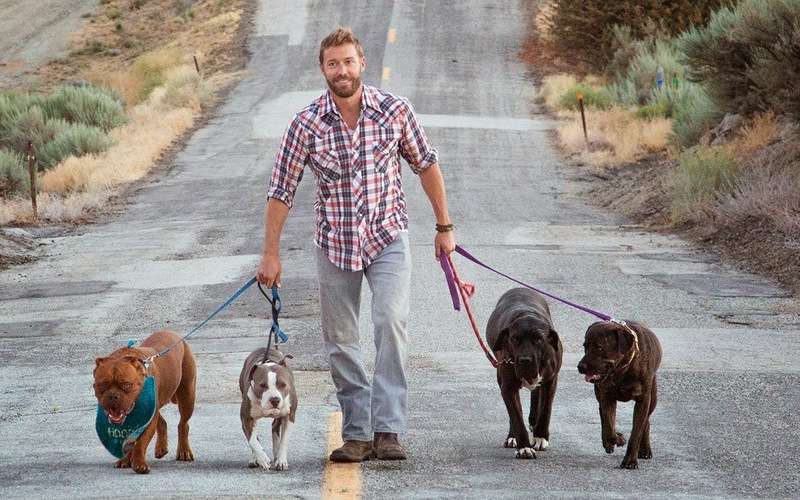 As payback, Skow founded a charity – Marley’s Mutts Dog Rescue – to help save unwanted dogs. (Parade Magazine, February 8, 2015). We all know about Seeing Eye Dogs, but Dogs For The Deaf? Founded in 1977 by longtime Hollywood animal trainer Roy G. Kabat, DFD takes dogs from Western shelters and trains them to act as ‘ears’ for humans with deafness, hearing loss or autism. Since it’s inception, DFD has placed 3,000 rescue dogs in homes across the nation. I was getting ready to teach my weekly Okinawan karate class last week when a dojo brother congratulated me on a Malibu Times Magazine piece about GIMME SHELTER. 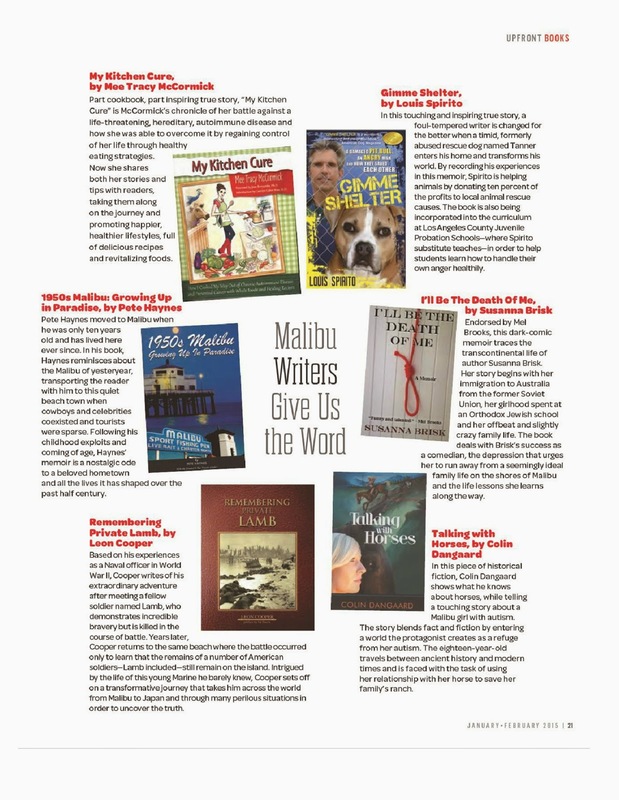 It was news to me but, sure enough, MTM had included the book as part of their local writers roundup (page. 23). After almost two years, I’m still amazed, and grateful, for all the kind attention the book has garnered. I met Joe Simone and Linda Bianco during my freshman year at Iona College in New Rochelle, NY. Through our love of literature, movies, Italian food and each other, we became fast friends and spent the next four years hanging out in The City, cramming Shakespeare and doing what college kids did in the Woodstock era. (I won’t speak for them but I DID NOT inhale…at least not much) After graduation, Joe married the fair Linda and they spent the next 35+years living and working in NYC or nearby Westchester County. But all that’s about to change. My diehard New Yawker pals are pulling up stakes and heading to, gasp, San Antonio to be near son Justin and his wife, Nicole. Although I don’t get back East often these days, it will be strange when I do and they’re not there to share a plate of sushi or a glass of pinot grigio. Guess I’ll have to don my boots and a Stetson, trade the Prius for a pickup and mosey on down to Texas pay my pardners a visit in their new digs.